The new year is a great time to get your finances in order so you can make the most of your money. For you, this may be about putting in more effort to save, paying off debt, buying your first house or tidying up loose ends like wills, super and insurance. Whatever financial new year resolution you set, here are our tips to increase your chances of success. Your first step in taking control of your finances should be setting a goal. After all, if you don’t know what you’re aiming for, how will you ever get there? It could be saving for an overseas holiday, buying an investment property, or it could be paying off debt. But whatever it is, make sure that it’s realistic. If you can’t realistically achieve your goal in 2018, break it down into smaller chunks. Remember the sooner you start, the faster you’ll get there. Understanding your habits is key to changing them. Start evaluating how you spend your money so you can see where you’re overspending and identify areas where savings can be made. Once you establish how much you spend on basic expenses, it’s easier to see how much you can realistically save towards your financial goal. There are many great apps out there that make it easy to track your spending. Try a few out and use the one that works best for you. Saving for a house deposit may feel overwhelming and you may think you’ll never get there. But if you break the goal down into bite-sized pieces it will feel much more achievable. For example, rather than save $150,000, break it down into 30 parcels of $5,000. You’re also more likely to reach your goal faster as you’ll pay more attention to the smaller changes you could be making to get there and you’ll be continually motivated as you hit each milestone. Henry Ford wisely said, “If you always do what you’ve always done, you’ll always get what you’ve always got”. If you’ve struggled to get to where you want to be financially, it may be time to look at alternative ways to get there. Perhaps you could cut expenses, such as giving up your morning coffee, bringing your lunch from home or swapping your car for a bike. How about boosting your income by putting your home on Airbnb, using your skills to pick up part-time consulting work or getting a higher paying job? Most people would also benefit from reducing fees, subscriptions or speaking to a financial advisor about ways to reduce their taxes. Just because you’ve set some solid financial targets doesn’t mean you should give up on the good things in life. Remember that life is a journey, and you’re more likely to give up on your goals if you don’t allow yourself to have fun along the way. The key is exercising balance and moderation. Spend less, earn more. Focus on value rather than absolutes. And don’t forget to reward yourself when you hit your milestones! Many of us start the year with good intentions, but often things get in the way as the year progresses and life speeds up again. At Financial Spectrum, we can help keep you on track so that you achieve success. Once your financial strategy is in place, we’ll keep you accountable, ensuring that you’re hitting your milestones and helping you overcome any challenges along the way. 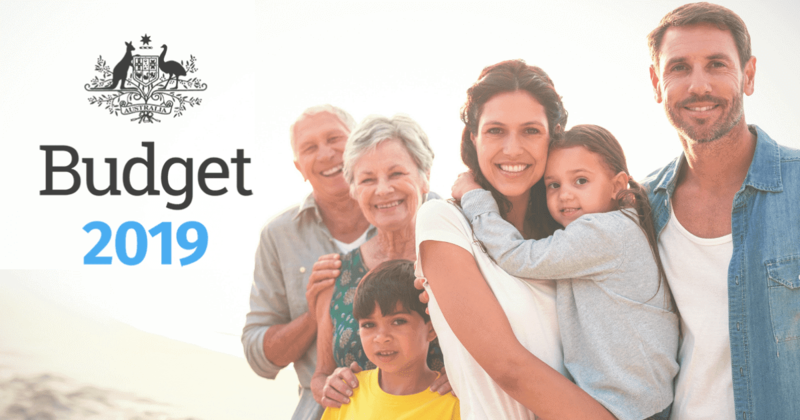 Some of the areas we commonly help with in the new year include: gaining direction and building a financial strategy; saving to buy a property (home or investment); creating and maintaining a budget; paying off debt; consolidating multiple super funds and getting better returns; and putting a will or estate plan in place.